The Husky 1/4 inch I/M Male Swivel Plug is designed to reduce fatigue by creating increased mobility at the tool. The swivel feature makes accessing confined spaces easier. The plug connects with a 1/4 inch industrial-style coupler for easy and fast changes. Use with a 1/4 inch industrial-style coupler for quick changes. Add the convenience of the Freeman Inch Male Universal Push Button Coupler to your compressed air system. The 4-ball coupler is made of high quality zinc and accepts standard Inch air plugs. The Inch male NPT threads are compatible with many hoses and piping systems. 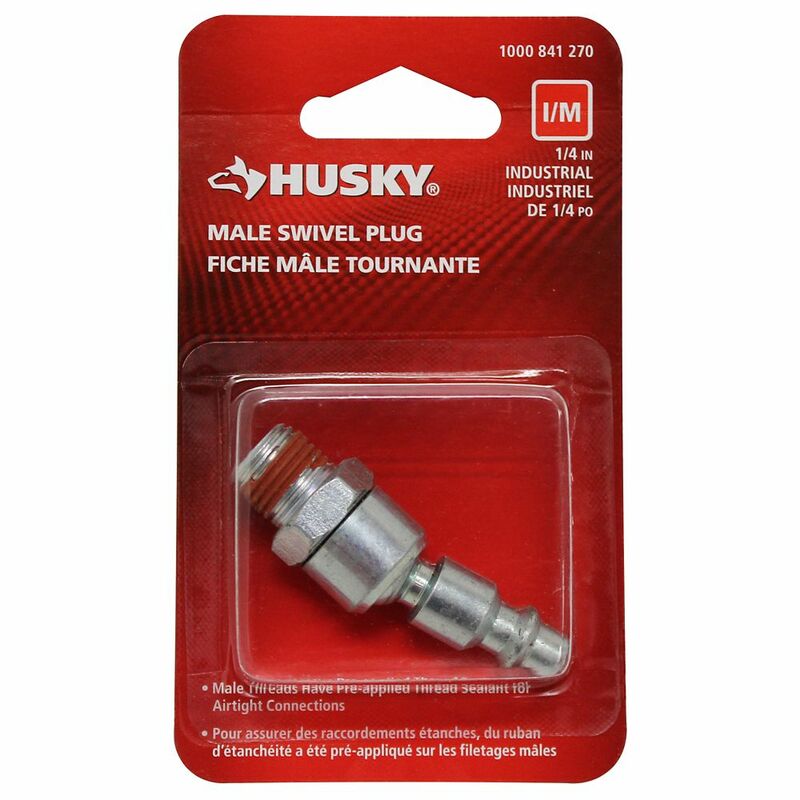 1/4 Inch Male Swivel Plug The Husky 1/4 inch I/M Male Swivel Plug is designed to reduce fatigue by creating increased mobility at the tool. The swivel feature makes accessing confined spaces easier. The plug connects with a 1/4 inch industrial-style coupler for easy and fast changes. Use with a 1/4 inch industrial-style coupler for quick changes.